Lisa has won awards at local exhibitions and has been shortlisted for The David Shepherd Wildlife Artist of the Year, Patchings Art Festival and the Ken Bromley cover competition. Caroline makes many of her prints on a converted cast iron mangle, which was rescued from destruction. It is a marvel of Victorian engineering, which can easily be taken apart for transporting. Pattern, colour and natural form are the focus for Vivienne's floral watercolours. Inspiration is sparked by the colours and shapes of flowers, gorgeous fabric, a special jug or vase. 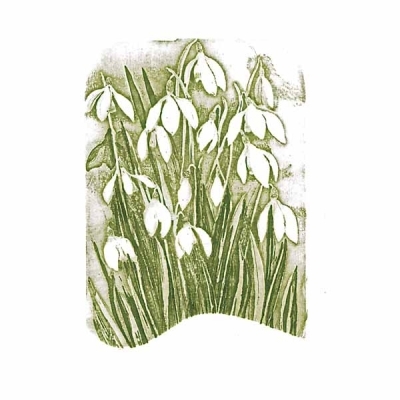 Knighton Mill is an artisan ceramics studio located in the Chalke Valley, Wiltshire. It was founded in 2015 by Ian Morrison following his time as visiting potter at Leach Pottery, St. Ives. Working mainly with acrylics, which lend themselves well to the subtleties of the ever changing mood and colours of the landscape, Christine creates paintings that uplift the spirit. 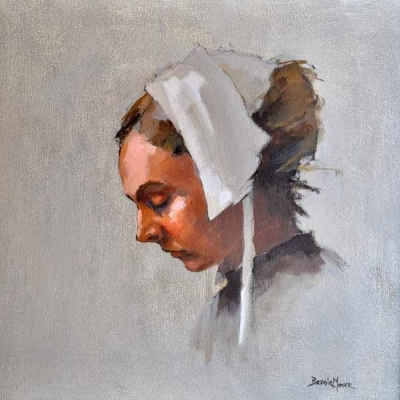 Although Danny Mooney has prosopagnosia (facial blindness), in the studio he paints people. "Making images of people helps me remember them," he says. He studied at Goldsmiths. The wheel forms the basis of most of Andrew Matheson's work. Skills learnt through repetition throwing and the discipline required help to inform and develop the individual pieces. Charles graduated from Glasgow School of Art in 1974, winning a travelling scholarship. He also gained a scholarship from TCU in Fort Worth Texas and gained a Master of Fine Arts degree. Johnny Morant uses paint to distill three dimensional experiences into two. 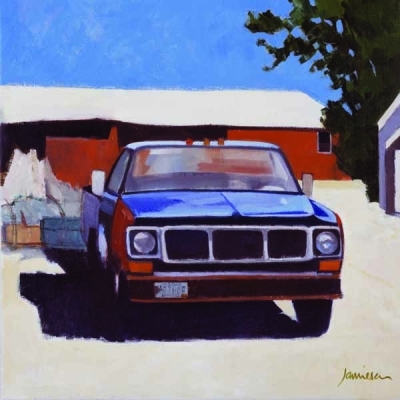 He has had three solo exhibitions at the Rountree Tryon Gallery. His work is in a growing number of collections. John Bracey creates nebula abstract paintings. The works are bold yet unoffensive. Dreamlike they come from imagination having no reference to any particular source. 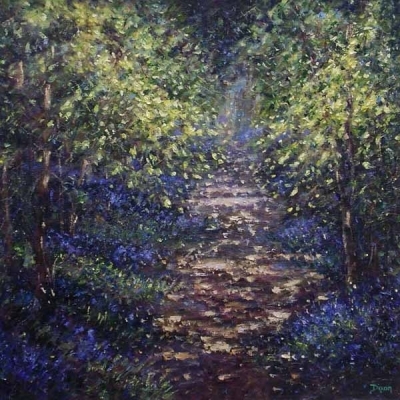 Shropshire based Bernie Moore is an elected member of the Royal Birmingham Society of Artists (RBSA). He has won the RBSA national first prize and the GMC Trust Award. 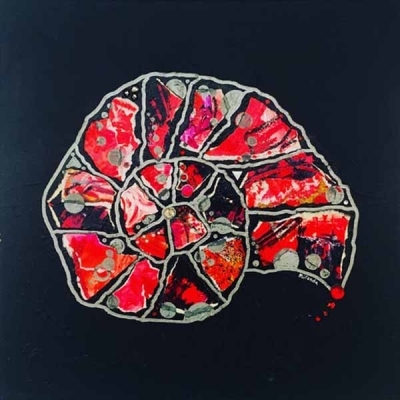 Vanda Zebrak attended Harrow Art College and her work encompasses different media including kiln formed fused glass, in collaboration with her husband, Peter Smyth. 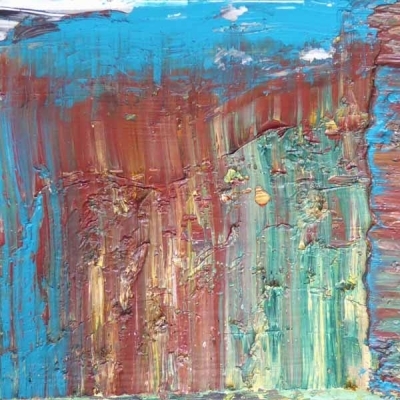 Elected member of Royal Cambrian Academy, David has exhibited in galleries and art fairs throughout the UK. He studied Business Management in Cardiff and Fine Art in Sheffield. After gaining a design degree and PGCE at university, Paul first went into teaching. In the early '90s he moved to SW France with his wife where he worked as an artist and designer. Lesley Banks is Scottish Canals ﬁrst artist in residence. She has been walking and painting the 137 miles of the Scottish canal network. The “Gongoozler” paintings have been widely exhibited. 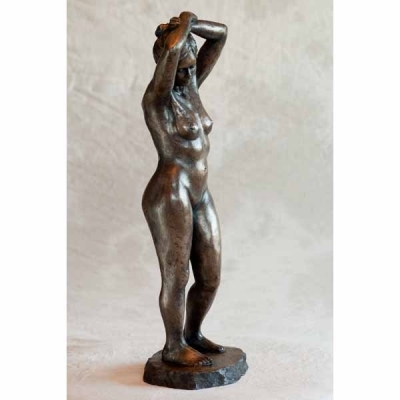 Award winning Moira Purver is a figurative sculptor. She is an elected full member of the Society of Women Artists. A trustee of Purbeck Art Weeks, she regularly exhibits throughout the UK. Patricia has been a member of the Society of Botanical Artists since 1991 and exhibits annually with the society at Westminster. She has had work with the Bridgeman Art Library. 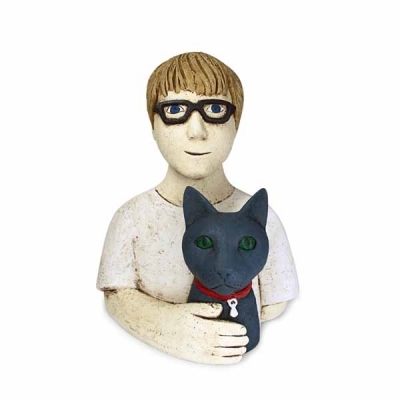 Paul Smith makes ceramic figurative sculptures in his studio on the edge of the Peak District National Park. The images he makes are dream-like and contemplative. Erica lives on a farm in mid-Wales with her husband and two dogs. She has been painting for 20 years and exhibiting and selling her work for a decade. Colour influences her hugely. Born in Scotland Lynn Jenkins lives in Dorset with her working cocker, Isla. "My inspiration comes from the things I see around me every day, some of them contemplative." Born in Leeds in 1948 Kevin Dixon paints from his studio in Nesfield. He studied at Leeds College of Art and has work in private collections in the UK, USA, France and New Zealand. Retired headteacher Rob Leckey from Shropshire has painted all his life. 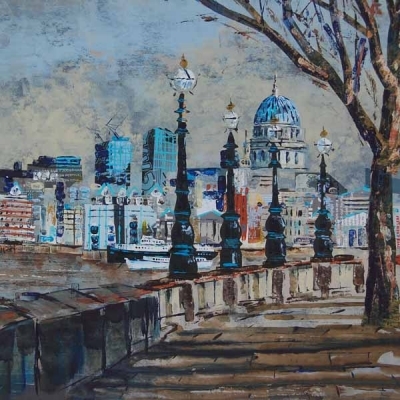 He has exhibited at The Royal Society of British Artists (Mall Galleries) and the Royal Birmingham Society of Artists. Bright, vibrant, fun – Miranda’s collage paintings are lively and colourful. She works in a variety of media to produce wonderfully intricate images, often inspired by botanical micrographs. Wales based artist Julia Harris spent time on her grandparents farm as a child which inspired her interest in animals and nature. She produces landscapes as well as humourous animal pictures. Kate uses hand dyed fabric, appliqued and stitched, to create wonderful collages inspired by the British countryside and wildlife. 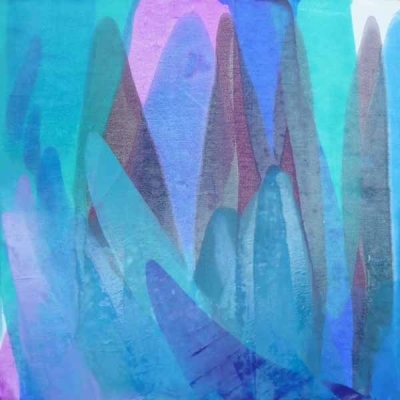 Colour and composition are central to Kate’s vibrant textile pictures. 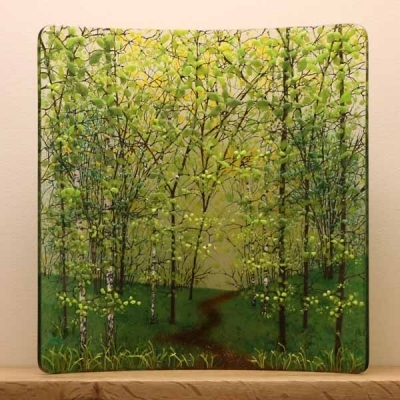 A professional artist for over 35 years Rowena Comrie now works from a Workshop & Studio Provision Scotland, studio at the Dovehill Studios in Glasgow's Gallowgate. Twenty years ago demand for Howard's original pieces enabled him to become a professional fine artist. He has constantly expanded his expertise covering many subjects and locations. 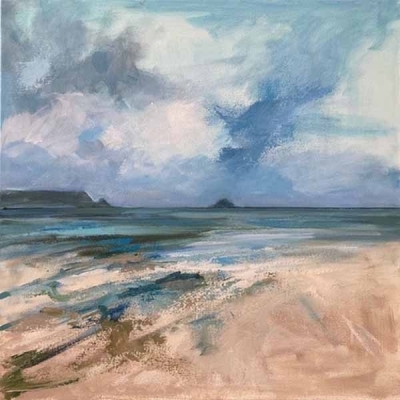 Working in acrylics, Joanna enjoys discovering a new landscape around the north and south Devon coasts, the Blackdown Hills, the Quantocks and the Mendips. She exhibits across the south. Hatchfully Yours is the trading name of Sheeba Kukreja, who painstakingly creates works of art from goose eggs and sometimes ostrich eggs. Her creations include jewellery boxes. 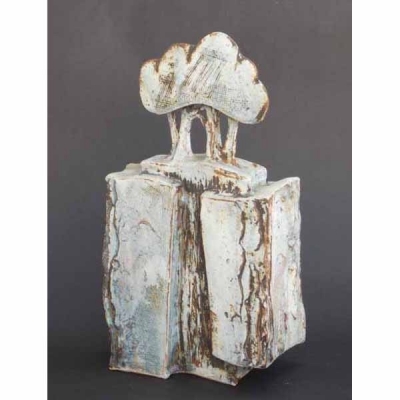 Birmingham based Jan Gay graduated with a degree at Bournville College of Art and has also studied Fine Art and Ceramics at Eastbourne Teacher Training College. CreativeCov January 13 to February 17, 2020 @CreativeCov Mixed Exhibition, The Octagon Theatre, Hendford, Yeovil, Somerset BA20 1UX. "Creative Coverage members are selected on merit. We handle all aspects of marketing for them and have an excellent track record for delivering results. We also collaborate with venues to organise exhibitions. Ultimately, Creative Coverage provides time-saving services and opportunities that help artists, craftspeople, galleries and societies to become more successful."